Mr. Takahiko Inoue, buddhist priest and yakuza boss passed away in February last year. In order for those who can’t read English but knew him or would like to know about him, I’ve written his obituary in Japanese below (日本語の弔い記事は一番下にあります）. I hope that those who read it will be able to understand that even amongst the yakuza, there are some good people–in their own way. Takahiko Inoue, yakuza boss and Buddhist priest, died Feb. 10 at age 65. The police determined that he fell from the seventh story of the building where his office was located. When the ambulance arrived, Inoue told the crew: “I’m fine. Just take me to the hospital. I’ll walk to the car myself.” Those were his last words. There was no protracted investigation. It’s not uncommon for a disgraced yakuza boss to seek refuge by becoming a priest after banishment; but it’s usually just an exchange of Armani suits for robes and tax-exempt status. Sometimes, the robes double as a sort of bulletproof vest, because even in Japan, it’s bad PR to kill a priest. However, bosses who are practicing Buddhist priests? Rare. Inoue was a rare breed. The yakuza, for all their talk of being humanitarian groups, are generally vile parasites on Japanese society. The modern yakuza make their money from extortion, racketeering, bid-rigging and fraud. Inoue was different; a holdover from an older generation. At the time of his death, he was the leader of a 150-man group in Shinjuku, and one of the top yakuza in the Inagawa-kai, Japan’s third-largest organized crime group. Inoue was born in the city of Kumamoto in 1947. In his 20s, he came to Kanto, worked on the docks and eventually joined the Yokosuka Ikka, a once-powerful faction of the Inagawa-kai that was originally an independent federation of gamblers. He served for many years as the personal bodyguard of Susumu Ishii, the head of Yokusuka Ikka. Mr. Ishii eventually became the second-generation leader of the Inagawa-kai. Because of his financial savvy, he was known as the father of the economic yakuza. Inoue was hot-tempered in his youth and went to jail for attempted extortion and other crimes. His nickname used to be “Oni no Inoue”— the Demon Inoue. During his time in prison, he became familiar with Buddhism and eventually became a Buddhist priest, yet remained a yakuza boss as well. Inoue justified his decision this way: “It’s easy to give up on the delinquents of the world, but if I give up on them who will make them better people? 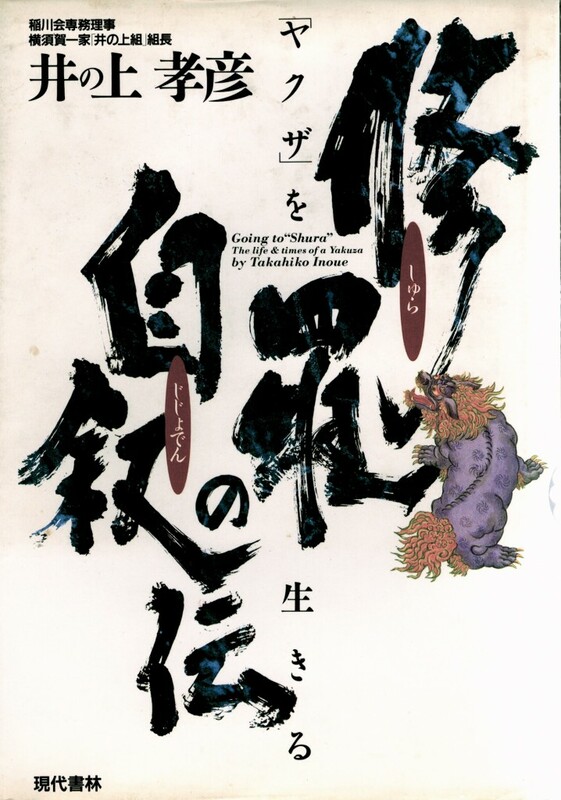 Who will teach them discipline?” He wrote the story of his life and what he believed in “Going To Shura: The Life and Times of a Yakuza,” published in 1996. He reconciled the two realms as follows. Buddhism has its rules. The Inoue-gumi had its rules, taken from the Inagawa-kai Yokosuka-Ikka. Inoue worked to uphold them both. In some places, they actually overlap. The Inoue-gumi rules forbid: 1) using or selling drugs, 2) theft, 3) robbery, 4) sexual misconduct, 5) anything else that would be shameful under ninkyodo, the humanitarian way. To become a Buddhist priest like Inoue, you have to follow 10 grave precepts. Do not: kill, steal, engage in sexual misconduct, lie, drink or cloud the mind, criticize others, praise oneself and slander others, be greedy, give way to anger or disparage the noble path. I can’t say Inoue and I were close friends. We exchanged books on Buddhism and good wine. He was a wine aficionado; he sent me imo-shochu — potato hooch — from his hometown. (It gave me the worst hangover of my life.) He was always the teacher and I was the student. I didn’t have much to teach him. I felt I knew him before we’d even met. In the early ’90s, my mentor, Detective Chiaki Sekiguchi of the Saitama Police Department, recommended Inoue’s autobiography to me as “a good introduction to the yakuza, how they used to be, why they are tolerated, and how they will never be again.” By the time I actually spoke to Inoue, Sekiguchi was a hotoke himself. Cancer. 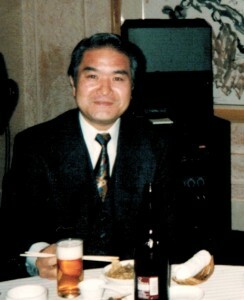 Inoue was one of the first generations of yakuza to move from outlaw to law-abiding businessman. He was a smart investor, running restaurants, allegedly owning over 10 buildings, taking in legitimate revenue to keep his organization together. He followed the advice of his former boss. Mr. Ishii once told him, “Be a yakuza that pays taxes.” He paid taxes; he was generous with his wealth. He made charitable donations quietly and without great fanfare. I wish that were true. Sometimes, it seems like the karma police are on strike in this realm. There’s a saying in Japanese: “Jigoku ni Hotoke (To meet the Buddha in hell).” It refers to the good fortune of finding an ally in the worst of circumstances. Considering how I’ve lived my life so far, I hope it applies to the metaphysical world. I hope The Buddha comes to visit me on the other side. I’ll need some help in making my jailbreak. Takahiko Inoue-kumicho, was known as “The Buddha” in the underworld. In his 1996 autobiography, “The Buddha” recounts his life as a yakuza and how he came to become a priest. I guess two questions come to mind. Was he helped over the balcony or ledge? I realize its bad press to kill a priest, but like you said the Yakuza has evolved and Japanese society like American society has become more secular. The second thing is at what point do you stop being considered a Yakuza group, because it seems to me that he and his group stopped being Yakuza when they stopped doing illegal things. how’s it stated by the police as to whether it could be suicide or murder or merely an accident without any case?